Yo, Dudes and Dudettes! My blog has moved! and update your bookmarks. And keep it real! Here's a question for you budding wine history buffs out there. The CORRECT Answer is B) Robert Mondavi is to Napa Valley. Though not quite as famous a household name as Mondavi, Rodney Strong did every bit as much to put Sonoma wines on the map as Mondavi did to promote his beloved Napa Valley. Like Mondavi, Strong recognized the potential of a unique spot of California land to become more than just an assembly line for cheap jug wines, and pioneered Sonoma until it could stand with sure footing on the world stage of fine wine production. Planting his first vines in 1959 (when there were less than 20 wineries in the U.S., and table fruit was seen as the future of Sonoma agriculture), Strong spearheaded a quality movement that resulted in an explosion of Sonoma wineries, some capable of producing wines that are considered among the world's best. There were detractors. Regarding them, Strong once said, "You are never going to please everybody, and if you try, it is the shortest route to mediocrity you will ever find." Those are not the words of a follower. There the words you say when you are trying to make history. Over the last ten years, Tom Klien, owner of RSV, has been quietly setting the stage to create the ultimate expression of Strong's dream of fine Sonoma wine - by crafting a flagship 'winery-within-a-winery' brand, with the potential to achieve cult Cabernet status. 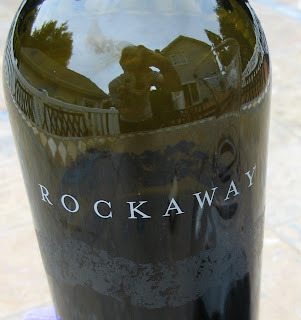 The result is Rockaway Vineyard, which is releasing its inaugural vintage (2005), on September 1st. Klien began Rockaway by purchasing - and then replanting - choice vineyards in the northern stretches of Alexander Valley. He then brought together a near dream team to make wine from those plots. According to RSV's PR Director, Robert Larson, "the team assembled to make Rockaway favorably compares with any in the world. Rick Sayre [RSV's primary wine-maker] has the history at Rodney Strong to know and grow the capability of quality production. [Winemaking consultant] David Ramey has the known capacity to make extraordinary wine. Gary Patzwald is as good as they come when it comes to an amazing palate and an incredible commitment to nailing the details. Doug McIlroy [director of wine-growing] has an incredible background and years of experience growing wine in Sonoma County. Bob Steinhauer is very well regarded in the winegrowing world due to his time with Beringer." If you want to create the ultimate expression of Sonoma Cabernet, then you'd better pick an amazing spot for your vines - because land in CA wine country isn't exactly being given away. RSV thinks that they've found such a sweet spot for Rockaway. "CA viticulture and winemaking is ever-evolving, and the high-end game includes narrowing down to sweet-spots in a variety of ways," says Larson. "There are single rows and plots within vineyards that taste better than others. You’ll notice, by viewing our website, that we communicate the vineyard’s USGS coordinates, which is our way of saying that place is, above all else, the most important factor in quality wine." Google-mapping GPS coordinates to show off your vineyard plots? Now that's confidence. And it seems well-founded: southwest facing slopes, with good elevation (approx. 750 ft), the chosen Rockaway plots are made up of gravelly clay and sandstone, with good drainage. All the elements are there for excellent CA Cabernet. On paper, at least. So what do they do with that fruit, now that their primo vines are producing some fit for vinifying? Back to our friend, Mr. Larson: "Rockaway is completely made from free-run juice, and from only the best rows/vines on the vineyard. Everything that can be done to ensure getting perfect berries into the fermentation tanks is done. The grapes are sorted in the vineyard, picked into half-ton bins and delivered early in the morning, right next to the tank where they’ll undergo fermentation. There, they are cluster sorted again, de-stemmed, and berry sorted, prior to being gently pumped - using a pump like used for fruit-cocktail, very gentle - into tanks. Every detail and decision in building the winery-within-a-winery was about preserving the fruit." In other words, if you're sitting on potentially amazing fruit, don't f--k it up. Alright, so it's quality from the word go - on paper. How does vintage numero uno taste? Here are the vitals: 92% Cabernet Sauvignon, 4% Malbec, 4% Petit Verdot; 24 months in 100% French Oak barrels; 15.4% abv (yowza!). Rockaway's color is gorgeously opaque, almost inky. At first, the nose reveals about as much as trying to look at a Picaso through a glass of this sucker's dark color. It starts closed, like a powerfully clenched fist. And then, with some air, come hints of black fruit, cassis, and oak; they are not overwhelming, but they are as pure as the wine is dark. In your mouth, prune flavors dominate, finishing long and strong with hints of raisin and alcohol (at 15%+ abv, there's just no getting around that). As closed and powerful as Rockaway is, it's suprisingly accessible now (it just needs meat, and a lot of decanting). It's got plenty of potential to get better with ageing; there's just enough pure fruit to stand up to all of that booze. In about 6 years, a miracle might occur in that bottle... It's as good and solid a young Cab. as I've ever tasted out of California - complexity TBD, but the purity of fruit is right there. Reminds me a bit of Opus One (but likely way cheaper, and with a little more California swagger). You might be wondering what the 'big boys" of wine media think about Rockaway's inaugural effort. You know, Robert Parker, Wine Enthusiast, etc., etc., etc. Well, we don't know, because they haven't published their reviews yet. And that's the final bit of pioneering history-making surrounding this stellar first effort from Rockaway. Upon its release, reviews of this wine are hitting the blogosphere before they are hitting Wine Advocate, Wine Enthusiast, Wine & Spirits, and other "traditional" wine media. That's because, for what may be the first time ever, a high-end wine debut is in the hands of wine bloggers simultaneously as the long-established wine mags. What a second... Wine Bloggers' reviews are hitting before Robert Parker has the chance to give this wine 90+ points and send the purchase price into the stratosphere? What the hell are Rockaway thinking? Are they clinically insane? Why on earth would they do that? I posed this question (sans the effusiveness, and without questioning his sanity directly) to Rob Larson: "Pulling the trigger is based on a hunch, and a gut feeling about how people are gathering information and forming their buying decisions on this style and level of wine." 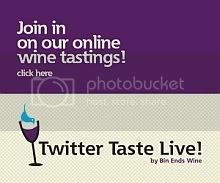 And here you thought that wine bloggers were just a bunch of wannabe wine critics. Seems that Rodney Strong's pioneering, history-making spirit that helped to put Sonoma on the map has done something else: it's helped to put Wine Blogging on the map as well. History in the making, indeed. If you want to get your hands on Rockaway, you'll need to sign up on the mailing list. I suggest you do it quickly, 'cause just like a fashionable cult Cab., it's an allocated brand - the mailing list is the only place it will be available to wine consumers. This time you left me out!! I put my write up up today. 1WineDude (a.k.a. Joe Roberts) provides an insider's view of the strange and wonderful world of wine, told accessibly from an outsider's viewpoint. Joe is a Certified Specialist of Wine, and has achieved the WSET's Advanced Certificate in Wine & Spirits. If you like what you're reading, please consider donating. Not getting enough chill from your wine cooling appliance? Parts can be replaced in a pop! 1WineDude Wine Tasting Guide now available! "How to Taste Like a Wine Geek" is a practical & fun approach to tasting & enjoying the world's greatest beverage! Printed & eBook formats.